Dear compatriots and friends, I thank the Department of Social Sciences of the University of the Philippines-Mindanao and the Alliance of Concerned Teachers-SMR for hosting the launch of the books Crisis Generates Resistance and Louie Jalandoni: An Illustrated Biography in Davao City. I express warmest greetings of solidarity to the hosts and to all the participants in this book launch, including faculty members and students (from UP and other schools), professionals, church people, social activists and others. I am deeply pleased that amidst or above the hubbub of the current election campaign period, you find the time and place for the launching of the two books with the purpose of fostering a deeper understanding of Philippine society and politics and broadening awareness of the national democratic struggles in mainstream discussions. Both books present the fundamental problems of Philippine society as well as what Louie and I consider the fundamental solutions which you can fully comprehend from the program for a people’s democratic revolution. I am gratified that the social scientists in your school and other schools seek to elevate the level of discussion from the low level to which the pronouncements of presidential candidates characteristically sink. The candidates are not presenting comprehensive programs of action by which they assert and promote national independence and democratic rights, economic development through genuine land reform and national industrialization, social justice, a patriotic, scientific and pro-people culture and international solidarity for peace and development against imperialism and reaction. My book deals mainly with the Philippine and global events and issues from July 2010 to December 2011. But there are parts of the book which recall and celebrate historic events, trace further developments and show continuing relevance. Thus, you can read about how the sustainable foundation of the national democratic movement was laid in the Diliman campus of the University of the Philippines from 1959 onwards. You can also read about how the books Struggle for National Democracy and Philippine Society and Revolution have inspired the Filipino youth until now. In the book contents that focus on the Philippines, you will find repeated references to the semicolonial and semifeudal character of Philippine society and the need to carry out a new democratic revolution in order to get rid of oppression and exploitation being perpetrated and perpetuated by US imperialism, feudalism and bureaucrat capitalism; and thus pave the way for a socialist future. I address various types of mass organizations that belong mostly to the toiling masses of workers and peasants and the urban petty bourgeoisie. I respond to current questions of political line and how to arouse, organize and mobilize the broad masses of the people. I put forward the leading role of the working class and the need for various types of alliances such as the basic alliance of the workers and peasants, the progressive alliance of these toiling masses with the urban petty bourgeoisie and the patriotic alliance with the middle bourgeoisie in order to take advantage of the contradictions among the reactionaries and isolate and defeat the worst of them, the enemy. The revolutionary armed movement has already spread in the Philippines far beyond the dreams of the founders of the revolutionary party of the proletariat in 1968. It is founded on an ever expanding and deepening mass base. This has allowed the people’s army to grow by waging intensive and extensive guerrilla warfare and carry out revolutionary land reform. It has made possible the establishment of democratic organs of political power in the more than 110 guerrilla fronts covering extensive portions of 71 provinces. Despite the long-term probability of the people’s democratic government of workers, peasants and the intelligentsia displacing the reactionary government of big compradors and landlords through people’s war, the National Democratic Front of the Philippines continues to engage in peace negotiations, work for comprehensive agreements on basic social, economic and political reforms and offer a truce and alliance with the Manila government in order to establish a government of national unity, peace and development. Whoever shall become president after the May elections shall have to reckon with the rapidly worsening crisis of the Philippine ruling system and the world capitalist system and the irrepressible growth of the revolutionary movement. My book presents the crisis of the Philippine ruling system in 2010 and 2011 and the path of worsening up to this time. I suggest that you study the domestic crisis within the context of the global economic and financial crisis which broke out in 2008. The book contains several major articles about the causes and trends of the crisis of global capitalism. The mortgage meltdown of 2006 to 2008 exposed the excessive debt of banks, corporations and households that caused bankruptcies. The capitalist powers have not solved but have aggravated this crisis by clinging to the neoliberal economic policy regime. They have merely overlaid it with even more excessive central bank borrowings,, public deficits and austerity measures at the expense of the broad masses of the people. Now, a new global economic and financial crisis has broken out and comes on top of the previous crisis. A perfect storm is about to descend on the Philippines after the May elections. 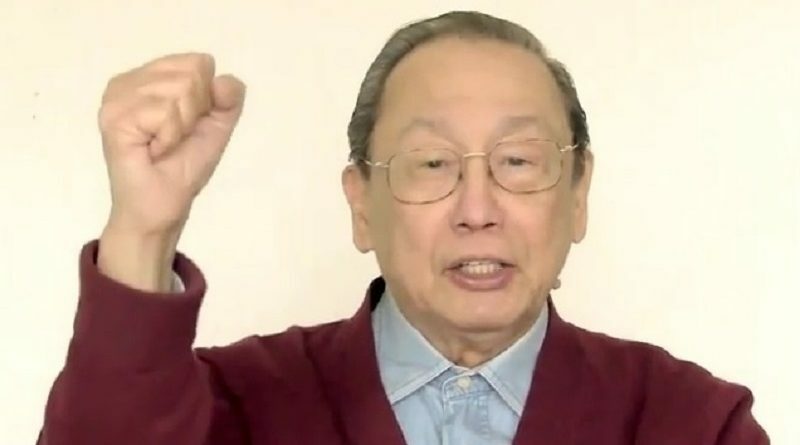 It will be a combination of economic and financial crisis, higher cost of foreign debt, the inflationary consequence of excessive election spending, social turmoil on the streets, the simultaneous rise of armed resistance by the Filipino people and Bangsamoro and the lack of credibility for the prospective probable victory of the presidential candidate backed up by the US-Aquino regime. It is already widely known that the US-Aquino presidential candidate would be able to win, not just because of the billions of pesos of pork barrel but because of the regime’s control of the Smartmatic automated electoral system. Ahead of us are interesting times, starting in the second half of this year and proceeding to subsequent years. A study of my book can provide us some light on the gathering storm and some guidance in performing our respective roles and tasks in the service of the Filipino people. Thanks to the US-Aquino regime for being so servile to big business and landlord interests and for being so corrupt and brutal and thus for unwittingly paving the way for the further advance of the national and democratic forces of the Filipino people.